Come see us at the WI State Fair! That’s right folks, our Wisconsin Blue Maple Burger is a semi-finalist for Sprecher Brewery’s Grilling with Beer Contest! 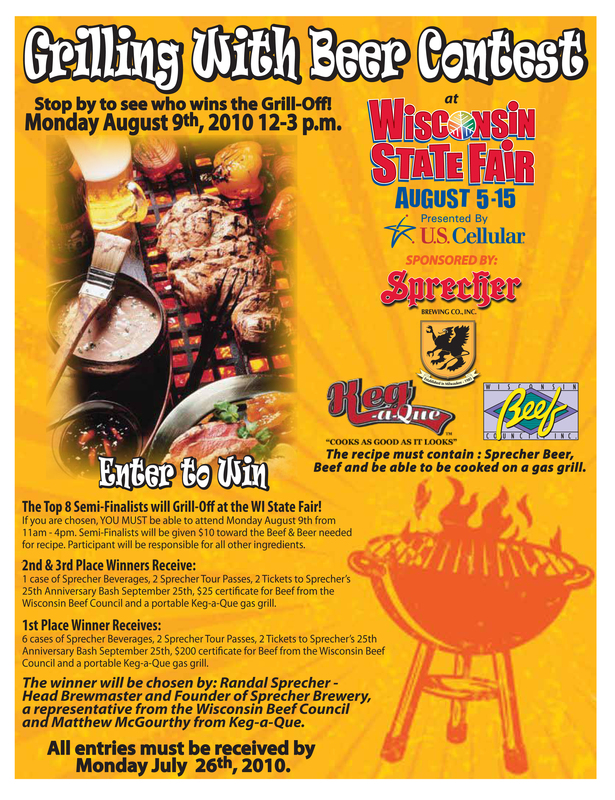 Come down to the WI State Fair on Monday, August 9th and see us cook off against 9 other worthy grilling adversaries.